You know how they say "If you have met one person with autism, then you have met one person with autism." The sentiment is true. 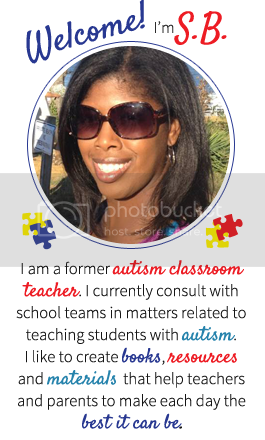 Every student with autism is unique and brings a different set of joys and challenges. Through it all, you might notice a few similarities, but not many. Now, this is if you are in a classroom with all students with autism for year after year. But what if you are teaching the only child with autism in your building or what if this is your first child and they have autism? You might not know that some of the things you see them do or hear them say are somewhat characteristic of autism itself. I always like too see the faces of others as the characteristics are read off in a workshop. There are lots of head nods, smiles and "yes, ok" as people see the characteristics in their students. Additionally, they see that they are not the only ones. Most times, they just love their students anyway and accepted the characterissics as part of the child's personality. For example, I might hear "Oh, I thought that was just Johnny." 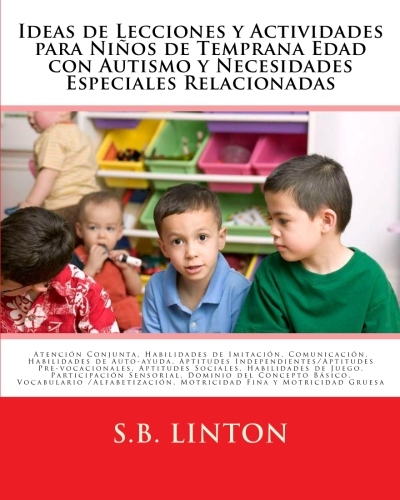 The characteristics can be examined deeper using Part 3 of the Teacher as a Leader Series which focuses on Autism Characteristics. Remember, the Teacher as a Leader Series was created as a guide for teachers to help conduct small scale (team meetings) or large scale (group presentations) professional development exercises with the other members of their classroom team or other members of their school team. 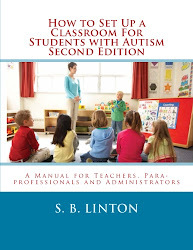 The series aims to give a starting point for discussion and guidance on topic that will ultimately help to improve the capacity for teaching special learners for the teacher, paraprofessional and 1:1 assistant at the school level, while also improving student outcomes.